Whenever a long-standing national leader announces they are to step down, there are always shock waves, particularly if the announcement comes as a surprise. But when the leader has guided a country’s extraordinary and successful journey for three decades – as has been the case with Nursultan Nazarbayev and Kazakhstan – that shock is multiplied many times. The momentous decision on March 19 has understandably generated a powerful mixture of feelings. There is, of course, tremendous gratitude from his fellow Kazakhs for what the country has achieved under his guidance. After all, his leadership, vision and resolve, through both good and challenging times, have transformed their living standards and opportunities. The term Father of the Nation is often given too easily but no one can doubt President Nazarbayev deserves such an accolade. As we have pointed out before, it is all too easy when discussing Kazakhstan today to forget the immense difficulties the country faced on achieving independence. The disintegration of the Soviet Union had left an economy in ruins and public services in a state of collapse. Prospects for the new country seemed dire. Very few outside experts saw any other future than decades of desperate struggle. There are, of course, many challenges to overcome but no impartial observer could look at the last 30 years and not agree that Kazakhstan as an economy and society has seen incredible change for the better. A failing command economy has been turned into a thriving market economy, which is attractive to outside investors and partners. We are now among the top 50 developed countries. Incomes have risen nine-fold. Our citizens enjoy some of the best education and healthcare in the region. A very diverse society lives in harmony. In his TV address on March 19, President Nazarbayev, as he usually does,went out of his way to stress that all these achievements belonged to the Kazakh people. But our citizens know that it was his bold leadership, his ambition and determination which gave their efforts focus. They also take pride in the fact that Kazakhstan has real standing and influence in the world. They know again how much Nursultan Nazarbayev’s personality and values have played in winning the respect of his fellow world leaders and in championing causes such as nuclear disarmament. These successes help explain why his resignation attracted such widespread international coverage. But along with gratitude, there is understandably some concern about the future. It was these anxieties which President Nazarbayev went out of his way to ease. First, he handed over the Presidency to someone with huge experience. Senate Speaker Kassym-Jomart Tokayev has worked closely with President Nazarbayev since our very first days as an independent country. He has served with distinction both domestically and internationally and can be relied on to settle nerves and carry forward reforms until new presidential elections are held as planned. Secondly, President Nazarbayev made clear that he has no intention of disappearing completely off the political stage. After 30 years at the helm of our country, no one could begrudge him complete retirement. But he has said he will remain on hand, through his role as head of the Security Council and chairmanship of the ruling Nur Otan party, to help guide Kazakhstan through this next transitional stage and beyond. His pledge of continued involvement will re-assure not just his fellow countrymen and women, with whom he remains remarkably popular, but also the country’s many friends and allies. They know the stability which is one of President Nazarbayev’s greatest achievements will not be put at risk. But as well as gratitude and inevitable anxiety, there should also be some sense of excitement. 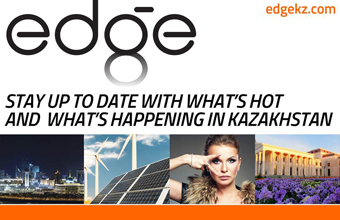 Kazakhstan is a young country, bursting with talent and potential. President Nazarbayev, who knows our nation better than anyone, believes the time is now right to hand over to a younger generation of leaders. He is confident that, with the right guidance, they have the ability to take our country onto the next stage of development. We should share his confidence about the future and accept his challenge to increase our collective efforts to live up to his and, in fact, our common expectations.